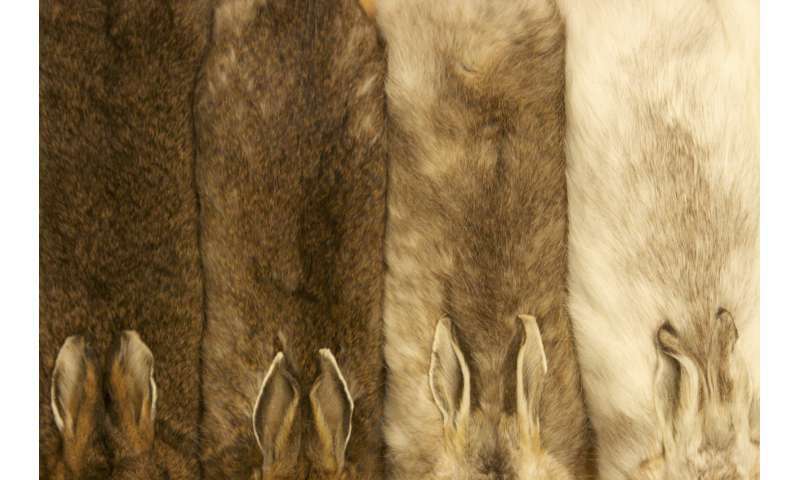 Many animals have evolved fur or feather colors to blend in with the environment and hide from predators. 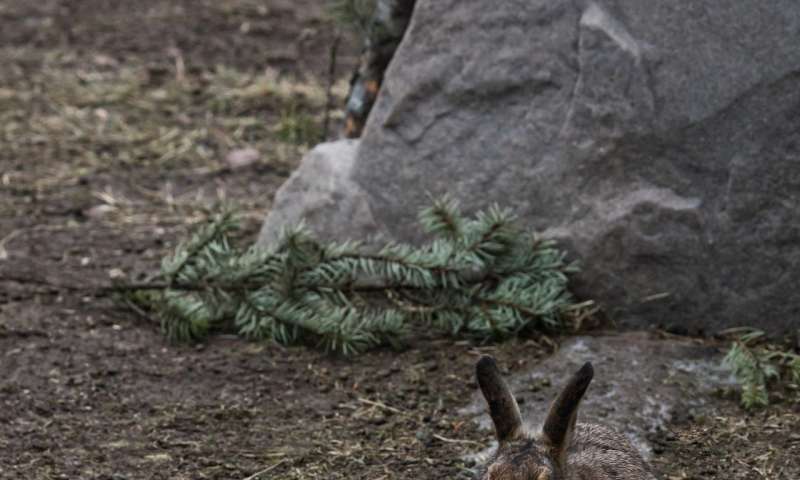 But how do animals stay camouflaged when their environment changes with each new season? 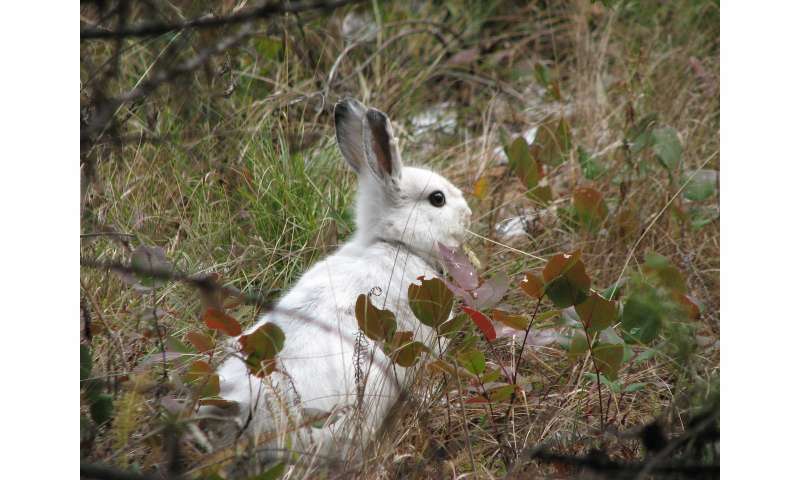 Researchers at the University of Montana recently discovered that hybridization played an important role in snowshoe hares' ability to match their environment. I woulda thought the snowshoe hares that failed to adapt got eaten. And were no longer available to breed? Nerd Hare and Bully Hare are caught out in the open and they both run for cover. Nerd Hare remembers the latest zombie flick he watched on his TV. (with the rabbit ears antenna, natch). With the promo slogan "I don't have to run faster than the zombies. I just have to run faster than you!" Knowing his brother Bully was faster than he was... Nerd applied his well-developed videogame expertise to trip Bully as Nerd made his get away. To go console Bully's forlorn mail-order brides Topsey, Mopsey and Flopsey. Arriving aboard Virgin Airlines. There now. Wasn't that more interesting that all that boring, stuffy old science stuff?